Guiding businesses and consumers through digital evolution. Lindsay is a diverse and inspirational speaker with expertise in the area of digital advertising, consumer trends, and future technology. Book Now or Engage Massive! Massive Media is a digital first advertising and creative agency. In early 2012, Smith opened a new division of Massive Media geared towards bridging the gap between analytics and creative within companies. As a pioneer in her field, Smith recognized that companies are struggling to ride the wave of change in these digital times. Partnering with cutting edge technology providers across the globe, Smith’s team develops refreshing and innovative campaigns for big brands and small business, alike. GetConnected TV & Radio reaches over 1 million North Americans per month. Loyal viewers tune in weekly for engaging product reviews, thought provoking discussions, and informative how-to features on the latest gadgets, apps and everything in between. Currently the president elect for the American Marketing Association, BC chapter. Nominated for the Influential Women in Business Awards. Guest expert segments on the morning and noon news covering current events, gadgets, and apps. Regularly interviewed by news channels as expert in technology and consumer behavior. Smith was recruited by BCIT (British Columbia Institute of Technology) to develop curriculum for the School of Business within the expanding area of social media and web analytics. Over a three year span, Smith created and taught several new courses designed to educate career professionals in the area of digital marketing, web analytics, and social media. By the end of 2010, Smith’s courses accounted for 80% of the required course load for the school’s Social Media Certificate Program and in 2011, it was voted BC’s top social media post-graduate program by the Georgia Straight. Lindsay joined the National board of directors for Wired Woman in 2004, a Canadian association for women in technology. There she volunteered her time as CTO until she was elected to President of the association in 2005 and remained with the society until 2008. In her role, Lindsay led a national board and five regional chapters across Canada. Smith was awarded Business in Vancouver's, Top Forty Under 40 for her outstanding achievement in business. Started in Vancouver, Canada in 2005 this show attracted thousands of attendees and featured globally renowned speakers such as Malcolm Gladwell. The conference and tradeshow expanded into Edmonton and Toronto by 2006; and was accompanied by a national technology magazine, called Massive Magazine. Smith launched the start-up MyZone Media in 2001 and remained CEO until 2006. During this five year period, Smith grew globally recognized brands under the MyZone Media umbrella, including Techvibes.com and Clubzone.com, which attracted over 1 million visitors per month and connected hundreds of thousands of technology stakeholders across the globe. Today, Techvibes it is one of Canada’s largest regional news sources for the technology sector. Nominated for New Media Women of Distinction Awards. Smith’s career in technology began in 2000 when she co-founded GeekRave Productions in order to build more networking opportunities in the height of the tech boom. Originally Director of Public Relations and quickly promoted to President for the company, Smith and her team successfully attracted thousands of people to their high-tech industry events. Lindsay is an exceptional, high energy entrepreneur who’s ability to identify and develop opportunity is exceeded only by her ability to lead and inspire those around her. 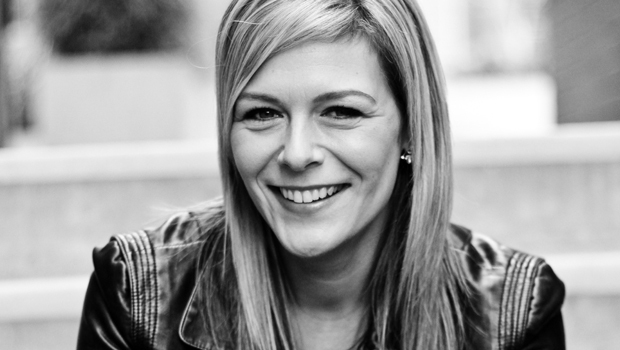 Lindsay’s achievements to date clearly indicate her imminent emergence as a person of significant influence in the future of Canada’s business, technology and media communities. In the short time I have worked with her I have been amazed at her full spectrum of abilities and look forward to working with her long into her inevitably successful future. Lindsay is a proven performer as demonstrated by hosting high end networking and business events for years. She is friendly and interested in others as well as hard working and visionary. Lindsay is an inspired and ambitious voice for the technology community in Vancouver and we’re lucky to have her. MASSIVE is an important resource in furthering the community here, and her recent forays into other media are impressive, informative, and entertaining. Looking forward to seeing what she comes up with next. Lindsay is visionary, committed, inspiring and knowledgeable. She has made a significant mark in the digital media world. Lindsay Smith CEO of Massive Media [is an] entertaining and dynamic speaker. As a pioneer in online consumer behavior and digital living, Lindsay is passionate about helping people navigate the rapidly changing landscape of the digital era. Her thought provoking and engaging presentations will add strategic insight, inspire and prepare you to fully embrace the digital wave. Invite Lindsay to speak at your next event or conference by submitting the below contact form.